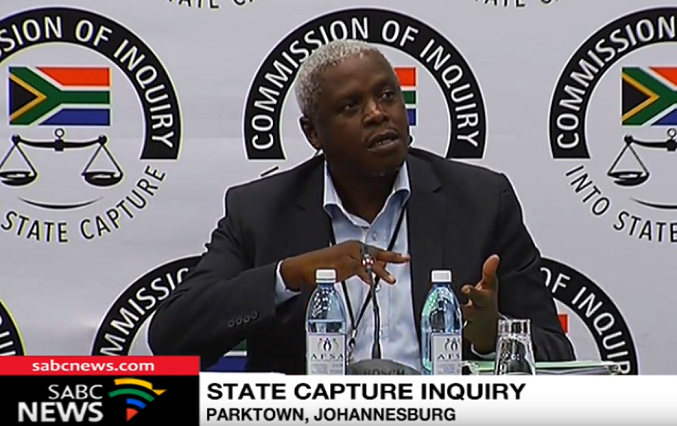 Former Free State Economic Development MEC, Mxolisi Dukwana, has concluded his evidence before the Commission of Inquiry into State Capture in Parktown, Johannesburg. Earlier, Dukwana said he’d accepted R10 000 from Tony Gupta in 2014. Dukwana, who was no longer working in government at the time, said the money was a travel allowance after Gupta had requested to hold a meeting with him. In 2012 the then premier Ace Magashule fired Dukwana for allegedly refusing a R2 million bribe from the Guptas to secure multi-million rand contracts for them. Dukwana said he accepted the money because it had no strings attached. He testified at the Commission that the Gupta associates attempted to take over the handling of a multi million rand development project in the province, stressing that Iqbal Sharma would draft letters, agreements and master plans for the City of Tomorrow project on behalf of Dukwana. Tshepiso Magashule, son of the African National Congress (ANC) Secretary General and former premier Ace Magashule, would then hand the letters to Dukwana. The former MEC was then expected to add his signature and letterhead to legitimise the documents. Dukwana also said Tony Gupta wanted him to fire his Head of Department and replace him with one of his associates. Dukwana said that Gupta wanted somebody in his department who would facilitate the awarding of contracts. The post Ace Magashule’s son implicated in Gupta scandals appeared first on SABC News – Breaking news, special reports, world, business, sport coverage of all South African current events. Africa's news leader..